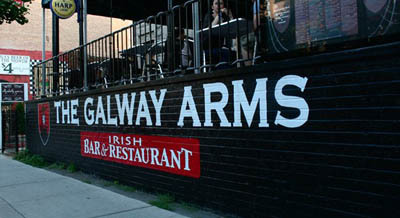 GALWAY ARMS IRISH BAR doubles as both bar and restaurant, with an authentic Irish atmosphere that's simply unrivaled. As far as food goes, we highly recommend the fish, burgers, salads, and soups. You really can't go wrong with anything on the menu. The fireplaces are a wonderful thing in the cold winter months! This is an excellent place to rent for private events such as birthday parties and bachelor parties. We love their location in the heart of Lincoln Park. 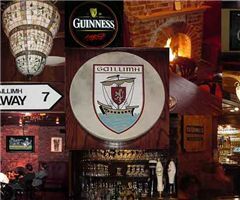 If you're seeking a bar that feels like it was plucked straight out of Ireland and placed into the Chicago area, then give Galway Arms Irish Bar a try. You'll love it.